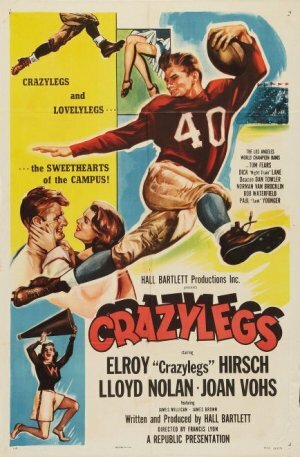 Football legend Elroy “Crazylegs” Hirsch stars as himself in this overview of his fabled athletic career. It’s difficult to understand why Peary includes this tepid, poorly scripted biopic of football star Elroy Hirsch — a.k.a. “Crazylegs” — in his GFTFF, given that it suffers from a serious lack of genuine dramatic tension, and will only be of interest to diehard sports fans or those specifically interested in Hirsch’s story. For what it’s worth, Hirsch — who has a decent on-screen presence — actually seems like a nice enough guy: he’s hardworking, devoted to his all-American “girl” (Joan Vohs) and loyal parents (Norman Field and Louise Lorimer), and intensely committed to both his country (he voluntarily enlisted as a Marine) and to sportsmanship in general. But niceness and a strong work ethic don’t necessarily make for a particularly interesting protagonist or storyline. Sports aren’t just a sideline; it’s a way of life, competing against the very best. There’s a special way you feel about things — you can’t buy it, you can’t explain it to anybody else; you have to live it. It’s unfortunate that such an intriguing life perspective — ripe for dramatic exploration — is handled so dully. 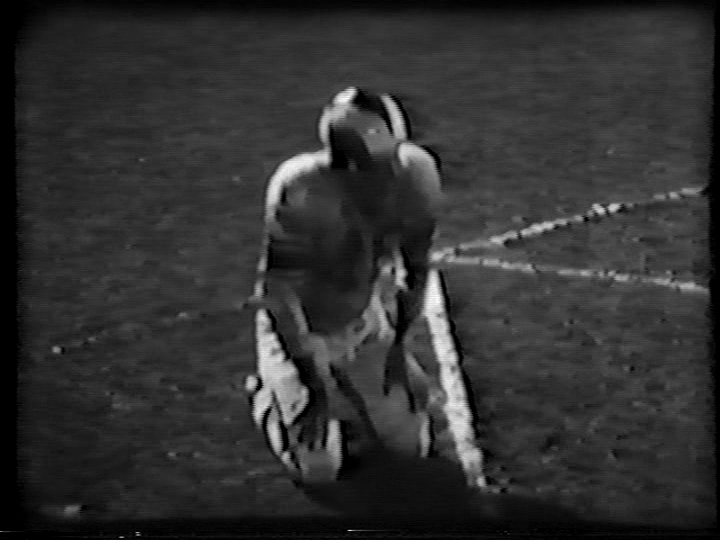 Don’t bother seeking this one out unless you’re a true football fan (in which case you’ll likely appreciate all the vintage footage of actual games). No; this one will only be of interest to fans of football history. First viewing. Definitely *not* must-see, and in agreement with the view above. It seems apparent that Peary has a) a love of football and b) an admiration for Hirsch. Fair enough (though why anyone would love football is beyond me, personally). But not only is this film nearly impossible to find…once you do find it, you’ll find yourself watching something almost completely amateurish. For some reason, the film is blessed with having Lloyd Nolan in the cast as coach Win Brockmeyer (he appears in the film throughout and narrates a good portion of it). It’s a puzzle as to why Nolan would take time out of a more prestigious career to show up here. But his presence is actually what keeps the film watchable.